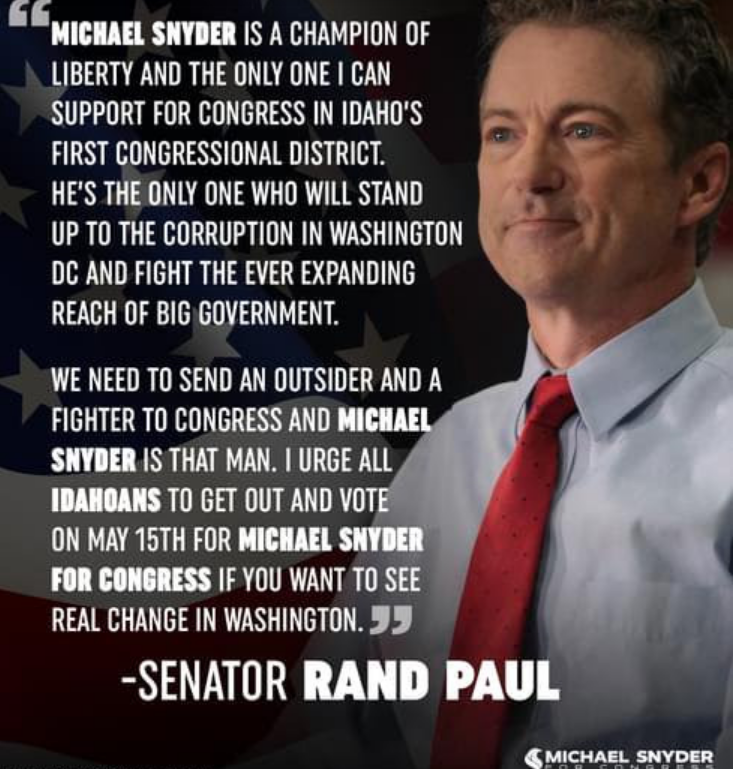 We The People can be proud of Senator Rand Paul’s endorsement of Michael Snyder for Congress. We have one good man supporting another good man, proving there is hope for the United States of America. President Trump needs help in Washington, and we must do everything we can to get it there. We need to share this with every American, giving hope for the revival of trust in our government once again. So much has been lost since the 2016 Presidential Election “war,” which should never have occurred in a lawful society. The voting process must be upheld and respected to keep our system of justice intact. The following are several of Senator Rand Paul’s recent endeavors in fighting for accountability in Washington. U.S. Senator Rand Paul (R-KY) announced that he has received a response from the FBI on his January letter to FBI Director Christopher Wray demanding answers about FBI Agent Peter Strzok and FBI lawyer Lisa Page’s current security clearance and access to sensitive information, as well as whether or not the Bureau has a process in place to ensure agents are not using databases for political or personal reasons. While the FBI refused to address specific agents, its response confirmed that all FBI employees maintain a Top Secret security clearance, which allows them to have access to sensitive information. “It is outrageous that agents who have been previously caught red-handed expressing their bias against President Trump continue to have access to Americans’ private data,” said Dr. Paul. You can read both Dr. Paul’s original letter and the FBI’s response HERE. “Republicans control the government, yet Congress still follows the Democrats’ playbook. Time and again, spending skyrockets, and conservatives are expected to fall in line to praise the party for making the big-spending status quo worse. “I voted against this deficit-spending bill because I believe our promises to change Washington matter. Even in such an enormous bill that combines so many different things, Congress somehow still failed to deliver for President Trump on issues important to grassroots Americans, including defunding sanctuary cities and stopping forced taxpayer support of Planned Parenthood. 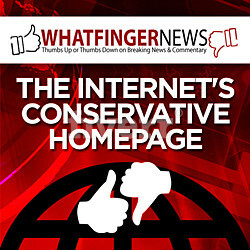 The following is a message from Michael Snyder – make it go viral! If you are not registered to vote yet, you can register at the polls on Election Day as long as you bring proof of Idaho residency with you. Make sure that they give you a Republican ballot, because that is the ballot that I am on. Anyone that is registered with another party (Democrat, Libertarian, etc.) will not be able to use a Republican ballot. Fortunately, the vast majority of Idahoans will be able to vote in the Republican primary, and thanks to our endorsement from Rand Paul a whole lot of people are buzzing about our campaign right now. Get out and vote for Michael Snyder for Congress on May 15th, 2018!